Sir Michael apologised to Julia Hartley-Brewer on Monday after it emerged he "overstepped the mark" with the commentator at a Conservative Party conference dinner in 2002.Reacting to news of the Defence Secretary's resignation, Ms Hartley-Brewer told Sky News she was "incredibly shocked".She said: "If this is over 'kneegate' - him touching my knee 15 years ago and me not having any issue with it today - this is the most insane, absurd and ridiculous resignation of a Cabinet minister ever. "However, I don't think that is the reason." The TalkRadio presenter added: "I doubt very much if one of the standards they require in the Armed Forces means that no man in the military has ever touched the knee of a younger woman. "I think he has been a very good Defence Secretary and I'm sad that a leading member of this Government has fallen at a time when this Government is on very shaky ground - not because I'm a Conservative Party supporter but because I want a Government that can run the country and push through Brexit." The reaction came as Sir Michael admitted he had "fallen below the high standards" of the Armed Forces in a statement on Wednesday evening.In a letter to Theresa May, he said: "A number of allegations have surfaced about MPs in recent days, including some about my previous conduct. "Many of these have been false but I accept that in the past I have fallen below the high standards that we require of the Armed Forces that I have the honour to represent. 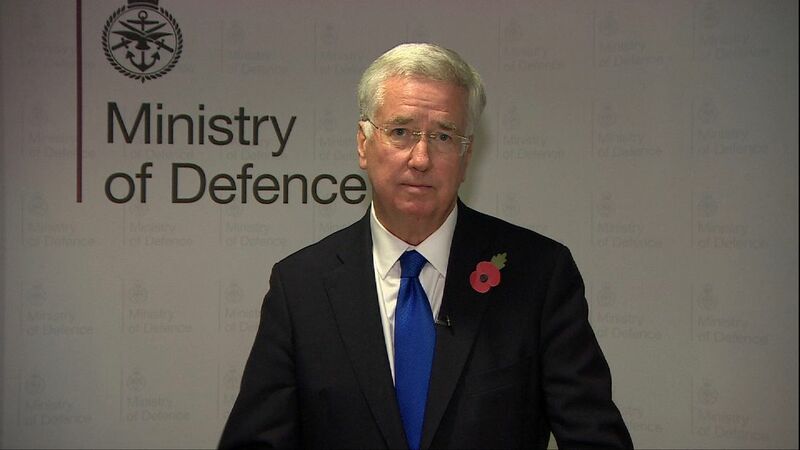 "I have reflected on my position and I am therefore resigning as Defence Secretary." The news follows growing controversy over abuse at Westminster with Labour's Lisa Nandy revealing she previously told Mrs May, when she was Home Secretary, about allegations Tory whips had "used information about sexual abuse to demand loyalty from MPs".Mrs May responded during Wednesday Prime Minister's Questions by promising to "look back" at the interventions.